...but i think paintball has run its course in my life. Ever since i PCS'd to South Dakota i have played three times, and all speedball. I dont enjoy speedball, i love woodsball. I have picked up mountain biking, which is beyond available and far cheaper here. I still have my two spyders but i have pondered selling them. It saddens me to say this but its too true. maybe if i get stationed somewhere that has more places to play and more favorable weather throught the year, then maybe ill get back into it. I need some advice honestly, what do i do.? Thanks everybody. I hope you enjoy mountain biking. Not saying your out of shape (I have never seen you before) but Mountain Biking is rather healthy and it is alot of fun to do, which if you enjoy it 1) it can get you in really good shape 2) its something heathy to get your family into as well. Keep one of the guns so if you ever have the urge you can come back whenever if you ever have the chance! I'm in the same boat man. Last time I played was December and I just haven't had the time to play since then. I'm trying to pick up photography but I still love paintball. I'd keep one set up so you can play if you're given the chance and you don't have to rent gear or borrow it. Like the others said, it happens. Once life takes over it gets harder and harder to play. I guess in my case I will start playing a lot more in a few years when my son is old enough to play. 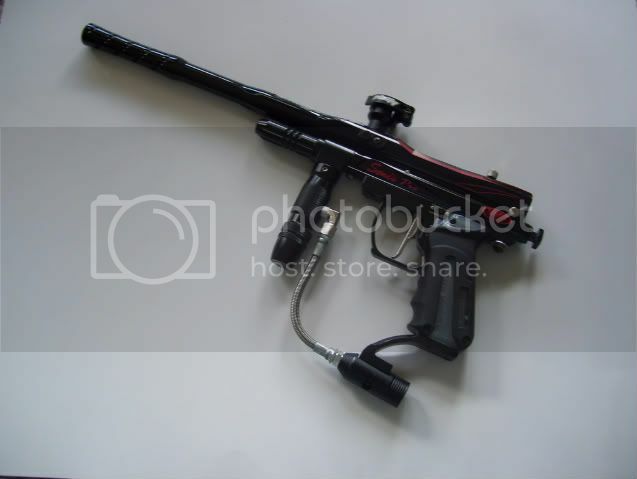 Then the weekend kid activities will involve paintball. Don't sell off all your gear cause you will get the bug again! I agree with Dan. Keep your stuff. I quit 3 years ago, and sold everything. Now I don't even have the money to get back into the sport, even though my love of playing has been revived. wow thanks guys, yeah i only have 2 markers (TL Plus and TL Xtra) but the Xtra is my wife's. but i think ill keep my stuff at the ready. the only thing i need to buy is disk brakes and head bearings for my second bike. i do enjoy mountain biking alot and have fixed up a bike for my wife and bought a trailer for the kiddo's. the love it too. I haven't played in nearly two years, and really don't have the desire, though I kept all my guns. I haven't even looked at my guns since then...I do need to find something else to do though. Funny thing is, the next time I play, people may think of my guns as classics, lol! Im with everyone else here, do NOT sell all your gear. If you have to, sell just what you need to & keep the basic stuff. Some time down the road you might get the bug again to play a game or two or even get back into it alot more.